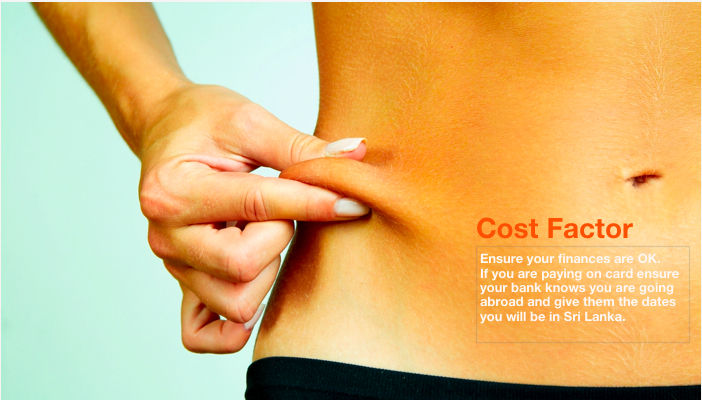 3) Cost factor | Cosmetic Surgery Sri Lanka. Safe, Affordable. Experienced, Qualified & Licensed Plastic Surgeons. Ensure your finances are in order before you leave. If you are paying by credit card be sure your bank knows you are going abroad and give them the dates you will be in Sri Lanka. How can the Hospital charge less for the same quality surgery? Living costs in Sri Lanka are a fraction of the cost compared to living in western countries. Staff are paid local salaries and therefore the only items that cost the same are the drugs and consumables at the hospital. This is the basis for the surgery costing less in Sri Lanka compared to Western Countries who have higher running costs. Sri Lanka is not expensive! Hotels in Colombo start from an average of just US$90-$150 B&B room only a day. 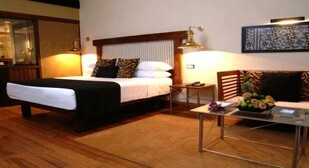 B&B from USD$60 per night. First choice offer super low deals on flights to Colombo from the UK. The national airline – Sri Lankan – has regular direct flights from the Uk. For flights from Australia and New Zealand will require a short stop off in Singapore or KL, try Malindo and Air Asia. See Flying to Sri Lanka. Shopping Colombo offers fantastic value on clothes at ODEL, Colombo’s only department store is also a factory seconds shop, where you can see high street clothes on sale for a fraction of the price at home. Paradise Road Café and Barefoot for homeware – stock up on stylish pieces or presents for friends and family at home. Indulge in the many pampering spas. Alternatively Ayurveda treatments and private yoga lessons. Need help finding a hotel in Colombo ? Contact us for details of selected 4 star hotels to suit your bespoke needs – special rates with airport transfers available.